The Towne Hotel i Nassau, Bahamas : Boka nu! Unless a group is cancelled 21 days or more prior to arrival there is no refund Alternate date can be arranged. There is a $75 per person room deposit for Security Deposit which may be paid by cash or credit card upon check in. Fully refundable provided no damage or anything missing from the room. Check out time for groups is 11am. List of names for all rooms to be sent by fax or email minimum 21 days prior to arrival. 50% deposit on all rooms sent minimum 30 days prior to arrival. 50% deposit required at time of booking and balance payable minimum of 21 days prior to arrival by credit card or certified check send by Federal Express not regular mail. Any groups with persons under 21 must be accompanied by adult. 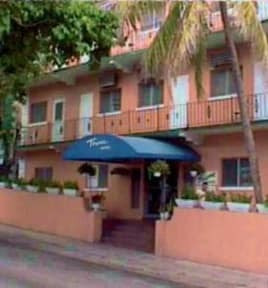 The Towne Hotel located in downtown Nassau is the choice of travellers from all parts of the world and all ages. ***Please note: Taxes and service NOT Included in Price. World famous Bay Street is at your doorstep for shopping and exciting night life with live entertainment. You are a few yards from U.S. EMBASSY, Government House, straw market, the beach, cruise ship docks and many historical sites. The hotel has 46 rooms in a three floor courtyard setting overlooking the pool patio area. 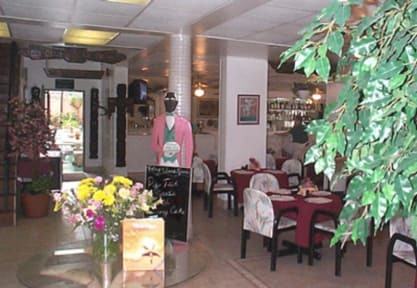 All rooms have private bathroom ensuite, air conditioning, ceiling fans, direct dial telephones and television offering programs in English, French, German and Spanish. Please note our triple rooms have 2 Double Beds (2 large beds for 2 people in each). Our twin room has 2 single beds and a roll away bed. You can enjoy a ferry boat ride to Paradise Island or taxi to Atlantis or Cable Beach Casinos ten minutes away. If not you can relax at our pool while sipping an island drink such as Bahamian Delight and sampling 'Conch Fritters'. The Talking Stick Restaurant and Lounge is also open from 7:30am till 11pm. Beach towels are available from our front desk and the room rate includes Towne breakfast daily. Come and stay where you will be greeted by warm, friendly staff, looking forward to your return and when you leave even the parrots say Bye Bye! Please note: Taxes and service NOT Included in Price. After booking is made the first night will be charged to your card. This will be refunded if booking is cancelled more than 14 days in advance.